After a couple of months of playing around with page grids, colour palettes, typography styles and sizes, CB Richard Ellis’s new magazine has been designed and sent to print. Here’s just a few sample spreads. We’ve now developed a more sustainable set of design rules throughout the magazine, such as using a consistent set of typefaces for headers and body copy. This will encourage a more fluid design process next time, but more importantly, it gives the publication a more recognisable identity and makes for a more comfortable read. After several months of design and development, it gives us great pleasure to announce the launch of the new look Value Partnership website. The site not only gives Value Partnership a more professional look (in line with their newÂ brand identity) but it has been built with a bespoke Content Management System, so they are able to update content throughout the website as the company move forward. This month has been particularly busy within the print design department. Not only have we been preparing the launch for the unveiling of the new look Value Partnership brand but we’ve also been completing a brand identity and style guide for fledgling marketing and research company Whitematter. The final brand identity includes several bespoke illustrations that play with the idea of “string in all it’s flexible and creative forms”. 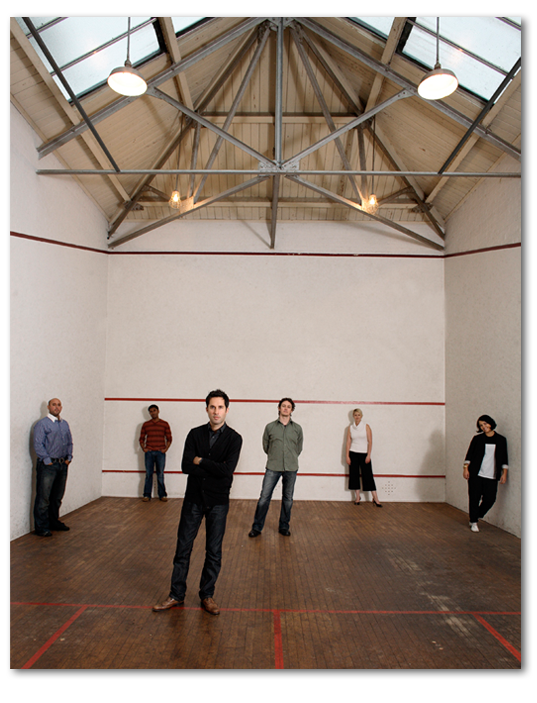 We’ve also been part of a studio shoot with photographer Mark Cocksedge at the helm, who took some fantastic shots of all of the Mavo team. Here’s a sample of one of the shots taken in a disused gym (in north London). We’re pleased to let you know that the limited edition Sugar Puffs packaging we designed, in conjunction with celebrity rock n’ rolla’ Pearl Lowe, generated a huge amount of press interest. Here’s another little lead to help you see for yourselves. All this good press has set a new precedent within the studio…from here on we’ll not only be updating latest projects, but we’ll be following up the success of the various creative campaigns we work on, and avid Mavo followers will be able to read all about them right here! 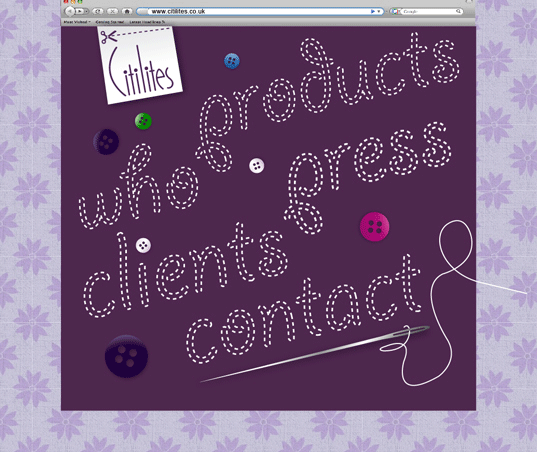 We’re pleased to announce the launch of a website for fashion manufacturer Citilites. After close consultation with the company, to understand their business requirements, the website includes a bespoke (CMS) area where team members can upload images of their latest collection month on month for retailers’ to discover their latest collection. 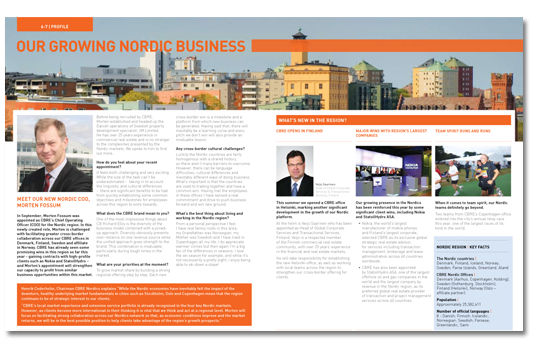 The latest issue of the CBRE magazine has now been printed (in an environmentally sound glossy stock) and is hopefully entertaining CBRE employees across Europe. Here are a couple of sample spreads we think typify the spirit of the new edition. June has proved busier than ever. 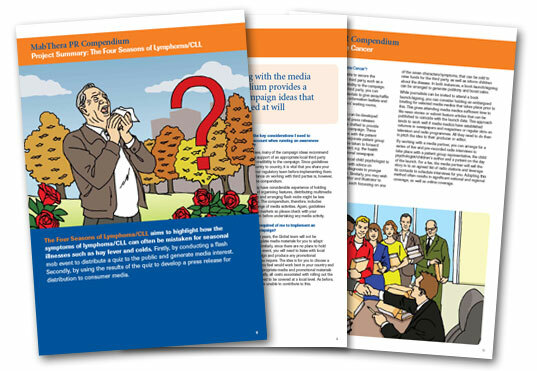 Aside from finalising the current issue of the CBRE magazine, we’ve been commissioned to design a compendium to support PR campaigns for cancer sufferers (to raise awareness of treatment, activities, social groups and beyond). More details and information about this project will be uploaded to the Mavo portfolio shortly. Our interactive department are currently developing an interactive application for Investec Private Bank. News of this application will follow soon after the launch of the app. 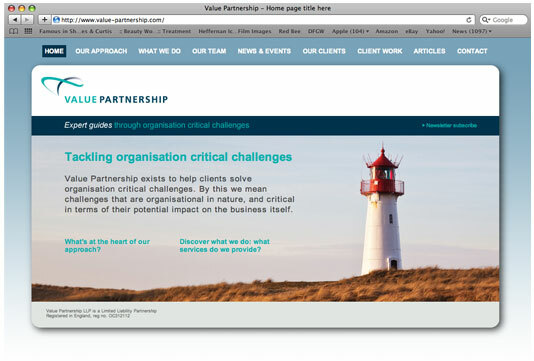 We’re also delighted to be designing and engineering a new website for Value Partnership (see previous months news for other information). This is an ongoing project which is due to go live in October of this year. 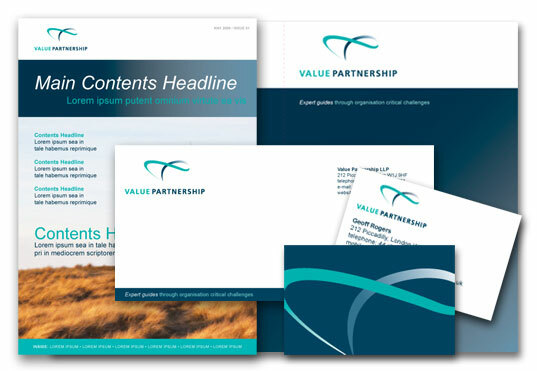 We’re currently putting the finishing touches to the Value Partnership brand style guide and marketing materials. 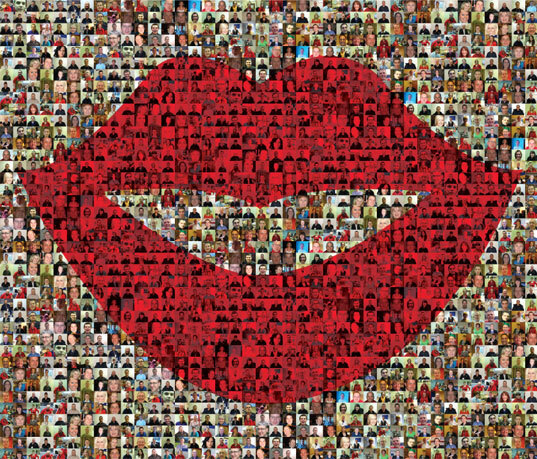 For a little peek at just some of their new brand media we’ve attached a few samples below. 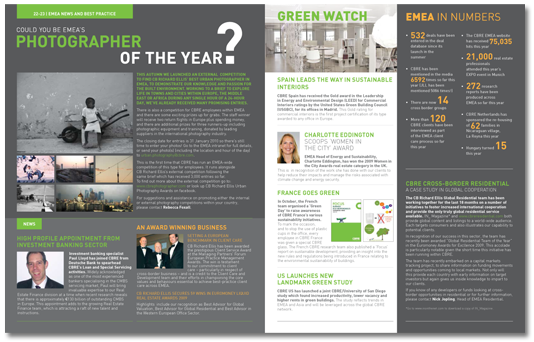 The next edition of CBRE’s internal corporate magazine will be printed in June. 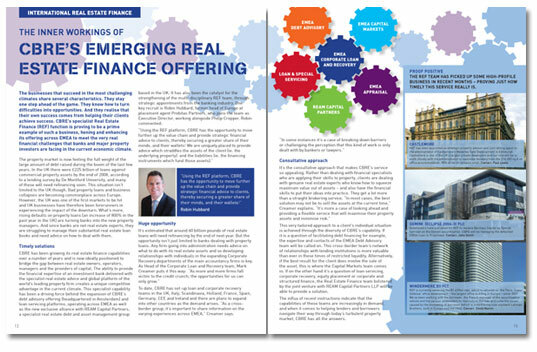 We’ll be sure to upload some samples spreads to the Mavo portfolio once all the design has been completed. The last month has been busy designing a brand identity (refresh) for business consultants Value Partnership, and mixed print and interactive media for EMM International (a media auditing and management consultancy). Both projects will continue into the interactive arena, as we work towards designing portfolio style websites for each company. After designing their corporate identity and stationery, Mavo are proud to announce the launch of the (Cooke, Young and Keidan) CYK website. 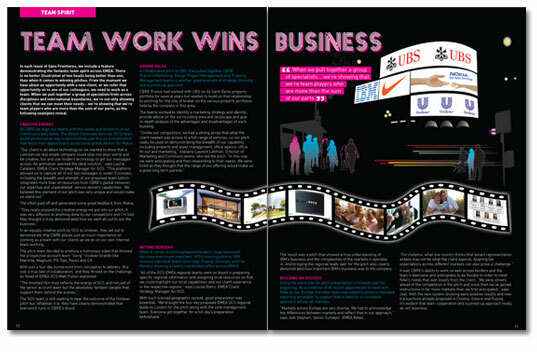 The project also serves as a good example of successful creative collaboration between our print and web design departments. For further information about this project, please visit our interactive portfolio. 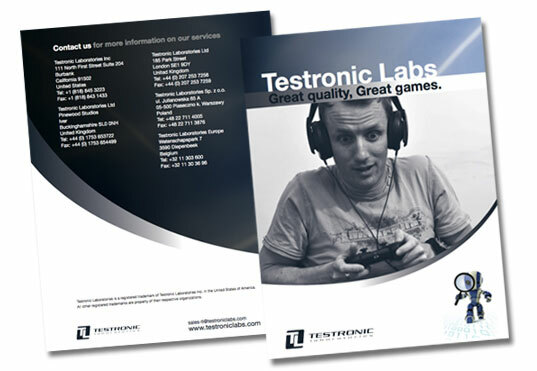 Mavo have also helped create a promotional campaign for Gaming / Tech company Testronic. 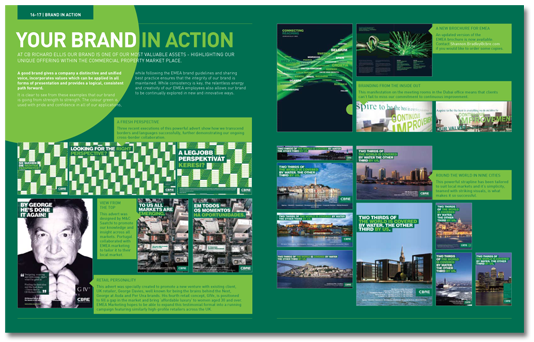 In the short term, a brochure (with handy inserts at the back) was produced, but perhaps more importantly, Mavo helped move the company’s existing brand graphics forward, so that a more dynamic style could be used across future marketing campaigns. More recently we’ve been given the go-ahead to design and develop a (flash based) interactive widget to help promote one of the UK’s leading banks accounts for Investec. News of this will follow next month. In the print department we’ve been busy putting the finishing touches to a marketing brochure for Testronic (the renowned games testing co.) and now we’re looking forward to beginning sketching and brainstorming the new brief for CBRE’s in-house magazine. Our interactive department have been equally busy engineering websites for Citilites and law firm CYK which are to be launched ahead of schedule, before the end of this month. While e-LPT’s website already has lift off! For all those eager Mavo afficionados here’s a sneaky peak of the home page design that Citilites have happily given the thumbs up to. The new year is proving busier than ever for Mavo. We’re currently designing and developing websites for Cooke, Young & Keidan (legal), E-LPT (lighting/electrics), Citilites (fashion) and Pimento (marketing/events). 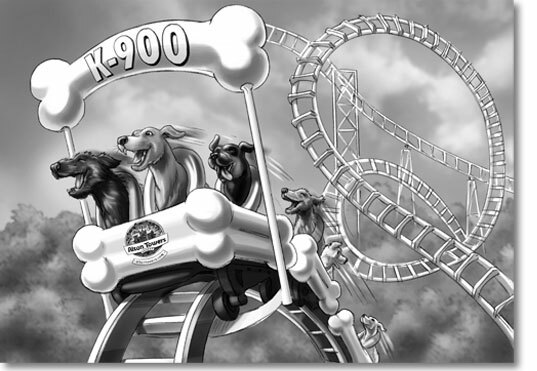 We’ll of course let you know about progress with each of those projects in the coming weeks, but for now we’ll leave you with a little taster of a photo montage we recently designed for all the staff at Alton Towers.